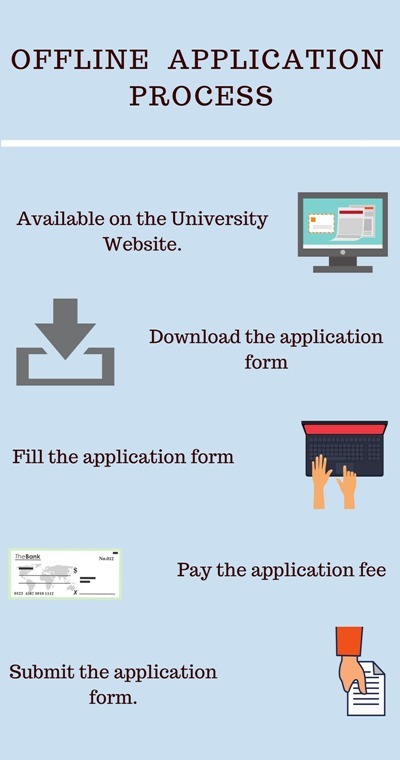 The application form is available on the University Official Website- University of Kashmir, Srinagar. The candidate can pay the application fee. The candidate has to fill the application form. The admission process is based on JEE Entrance Examination. The admission process is based on MAT/ CMAT/ UGAT Entrance Examination and Group Discussion/ Personal Interview conducted by the University of Kashmir. The admission process is based on Physical Efficiency Test conducted by the University of Kashmir. The admission process is based on GPAT Entrance Examination. The admission process is based on Entrance Examination conducted by the University of Kashmir. The candidate should have passed 10+2 examination with Physics/ Chemistry and Mathematics as subjects to apply for University of Kashmir admission 2019. The candidate should have passed Graduation in Management/ Arts/ Science/ Social Science/ Commerce/ Agriculture/ Law (Professional)/ Engineering/ Medicine/ Technology to apply for University of Kashmir admission. The candidate should have passed the final examination of the Institute of Chartered Accounts/ Cost & Works Accountants and Company Secretaries of India. In order to get admission in the University of Kashmir, the candidate should have passed 10+2 examination. The candidate should have passed any Degree courses to apply for University of Kashmir, Srinagar admission. In order to get admission in the University of Kashmir, the candidate should have passed 10+2 examination with Biology as a compulsory subject. In order to get admission in the University of Kashmir, the candidate should have passed Graduation. The candidate should have passed LLB with 55% marks to apply for University of Kashmir, Srinagar admission. The candidate should have passed BA with the equivalent subject to apply for University of Kashmir, Srinagar admission 2019. The candidate should have passed BCA/ B.Sc/ B.Com/ BA with Mathematics as one of the compulsory subjects to apply for University of Kashmir admission. In order to get admission in the University of Kashmir, the candidate should have passed B.Com/ BBA/ BBM/ BBS or BA/ B.Sc with PG Diploma in Accountancy/ Cost & Management Audit. In order to get admission in the University of Kashmir, the candidate should have passed B.Ed with 3 years teaching experience in a recognized Educational Institute. The candidate should have passed Bachelors degree in Commerce/ Management/ Arts/ Science stream to apply for University of Kashmir admission. Bachelors degree in Agriculture/ Engineering/ Law (Professional)/ Medicine/ Technology. 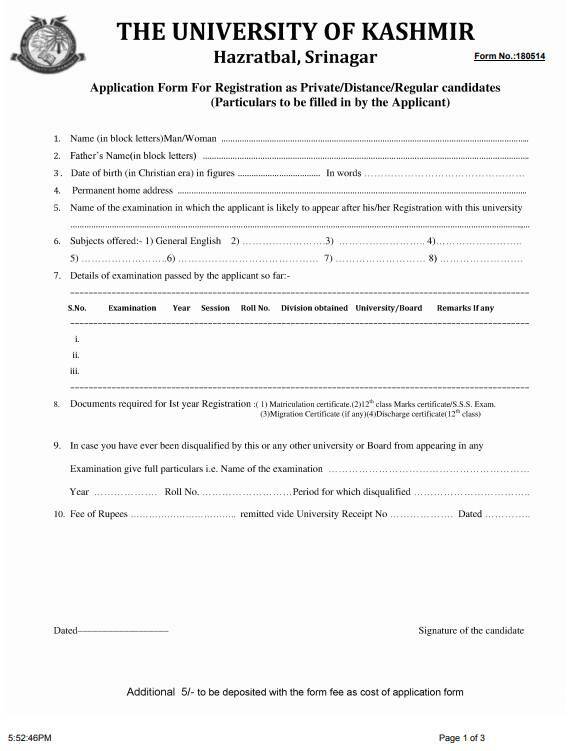 In order to get admission in the University of Kashmir, the candidate should have passed B.Com/ BA/ B.Sc/ BBA/ BIT/ MCMP. The candidate should have passed B.Sc with Science subjects to apply for University of Kashmir, Srinagar admission 2019. The candidate should have passed B.Sc in a relevant subject to apply for University of Kashmir admission. B.Sc in Clinical Biochemistry/Medical Lab Technology Biochemistry or Science graduate with Botany/ Zoology/ Chemistry/ Biotechnology/ Microbiology/ Environmental Science and Biochemistry. The candidate should have passed B.Sc with Biochemistry, Microbiology, Life Science, (Zoology, Chemistry, Botany)as the primary subject to apply for University of Kashmir, Srinagar admission. In order to get admission in the University of Kashmir, the candidate should have passed B.Sc with Botany, Zoology, Chemistry, Biochemistry, Biotechnology, Fruit Preservation, Mushroom Cultivation, Seed Tech., Sericulture, Fisheries & Industrial Chemistry in various combinations. In order to get admission in the University of Kashmir, the candidate should have passed Bachelor Degree/ MBBS/ BDS in Physical, Biological, Agricultural, Veterinary and Fishery Science, Pharmacy, Engineering/ Technology with 50% marks. The candidate should have passed B.Sc/ BCA/ B.Sc IT in Physics/ Mathematics/ Electronics/ Chemistry to apply for University of Kashmir, Srinagar admission. In order to get admission in the University of Kashmir, the candidate should have passed B.Sc in Home Science. The candidate should have passed Graduation to apply for University of Kashmir admission. The candidate should have passed BA/ B.Sc with Geography as one of the subjects to apply for University of Kashmir, Srinagar admission 2019. In order to get admission in the University of Kashmir, the candidate should have passed BA/ B.Sc with Mathematics as one of the compulsory subjects. Eligibility criteria for getting admission in the University of Kashmir is to score at least above 70 points in JEE MAIN. I have given JEE MAIN and in that exam, i got 92 points. Cut off for my course is almost 75. The eligibility criteria for this course at the University of Kashmir should be graduation and then you need to appear an entrance exam. I took PG professional entrance exam for MCA course. The average cutoff would be 30 to 33 points. The cut-off was 40 out of 60 for getting into University of Kashmir. The entrance exam is required which was conducted by this college. Eligibility is graduation is required in any stream. The eligibility criteria for admission to b.tech in the University of Kashmir is 10+2. The entrance examination is JEE MAIN. 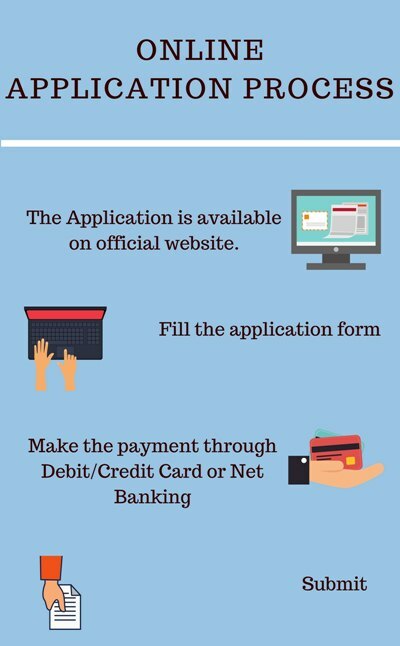 Eligibility criteria is 12th pass in commerce stream for getting into University of Kashmir. A candidate needs to qualify the 10+2 examination from any board of examination I haven't yet given any entrance examination with 50% needed. Candidate must clear the JEE MAIN exam and must be passed in 10+2 with minimum 60% of marks. Minimum 50 cutoff mark is required. The student must score good marks in 12th grade or any equivalent exam to get the admission in this college. Does the college have a hostel? What are the facilities provided by the hostel? Fully furnished hostel facility for boys and girls is provided on the campus. The campus is Wi-Fi connected including hostel rooms, corridor, Canteen, and cafeteria. The room has incoming telephone call facility. Medical facilities and Laundry facilities are also provided in Hostels. Which are the companies that recruit? The University established the Centre for Career Planning and Counselling in 2008. The mission of the Centre is to provide services and resources for students in career and educational planning as well as help them in their job search and provides a constructive professional environment to deal with any issue affecting the students’ studies. Godrej and Boyce India Ltd.
What is the fee structure for BBA+MBA? The fee for BBA+MBA course at University of Kashmir is 50,000 INR. What scholarships are offered at University of Kashmir? The meritorious students in each program are eligible to receive merit scholarships which are paid to the first two top merit holders. Merit scholarship in favor of 1st & 2 nd semester students is granted on the basis of merit obtained in the Entrance Examination, while in the 3rd + 4th/5th +6th semesters, it is granted on the basis of merit obtained in the 1st + 2nd / 3rd + 4th semesters. The scholarship is granted from the date of admission to the program up to the last date of the examination, subject to a maximum period of 12 calendar months in a year. There are four research scholarships in each Department/Research Centre for carrying out research leading to the award of Ph.D./M Phil degrees in addition to the contingency grant payable annually for meeting miscellaneous expenses. The University has also adopted a scheme called Student aid Fund under which financial assistance is extended to meritorious students who come from low-income group families. The candidates have to apply for the scholarship through their Departments. The Kashmir University Alumni Association also provides financial assistance to students with poor economic background. Preference, however, is given to orphans. What is the eligibility criteria for B.Tech in University of Kashmir, Srinagar? 1. Candidates having passed the qualifying examination with the required minimum percentage of marks in aggregate as given below are eligible to apply for admission to the respective programme/s. 2. Candidates having appeared in the qualifying examination can also apply provisionally, subject to acquiring required minimum percentage by or before the day of issuance of 1st selection list. 2. Entrance Test may not be conducted for admission to a programme/ course where intake capacity is equal to or more than the number of eligible applicants. 3. Negative marking shall be @25% i.e. for each wrong answer 0.25 marks shall be deducted.